Being largest unit currently available from ProSolarTec, the Solar+ 74000 produces 73.7 kW of thermal power. 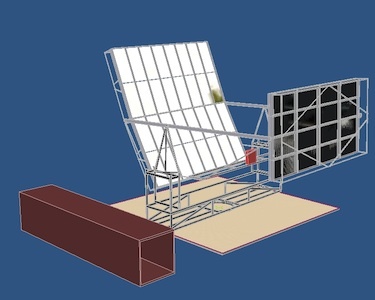 The possibility of installing a number of these units in a field arrangement increases the viability of this unit to replace fossil fuels as a power source. Uses: InSitu Steam Production, EOR, SEGd; commercial district heating or cooling; melting Iron, Steel, ceramics; Carbon nano-materials.